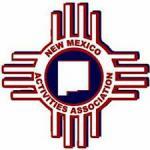 The New Mexico Activities Association (NMAA) voted June 1 in favor of a number of proposals that could have interesting effects on high school sports beginning with the 2018-19 school year. The NMAA has indicated it will return to its five-classification system beginning in 2018, just four years after it expanded to six classes in 2014. Many schools are welcoming the return to five classes, particularly those whose districts were significantly affected by the shifts. Clovis, for instance, was removed from its district with Carlsbad and Hobbs and placed in a six-team district with five Albuquerque and Santa Fe schools, while Carlsbad and Hobbs found themselves in a seven-team district with Las Cruces’ four schools and Gadsden. How the NMAA will align districts as it returns to five classes, however, has not yet been discussed. In an unusual move Thursday, the board also voted in favor of using specific enrollment numbers to determine classification for all sports… except football. In football, the board voted in favor of setting classification determinations at enrollment levels of 1,450-plus for Class 5A (which will again be the largest class) and 1,000-1,499 for 4A (the class to which Artesia will return). That could find some schools in one classification for football and another for all other sports. Among the NMAA’s other approved proposals were a decision to drop the state basketball and baseball tournaments from 16 teams to 12 – as it did this season with softball – and begin the football season earlier in order to have state championship games scheduled for Thanksgiving weekend rather than the first weekend in December. The board voted against its unpopular proposal to move to a conference rather than district system. That system has been particularly opposed in southern New Mexico where, due to the limited number of schools, teams would be required to compete in inter-classification conference games that would still count against their record in their own classification. The NMAA also tabled an item that would have eliminated district tournaments in basketball and volleyball, and voted in favor of proposals to implement a 25-second play clock in football and a “250-mile rule” for state football playoffs that would require teams that distance or further apart to play on Saturdays rather than having a choice of Friday and Saturday.